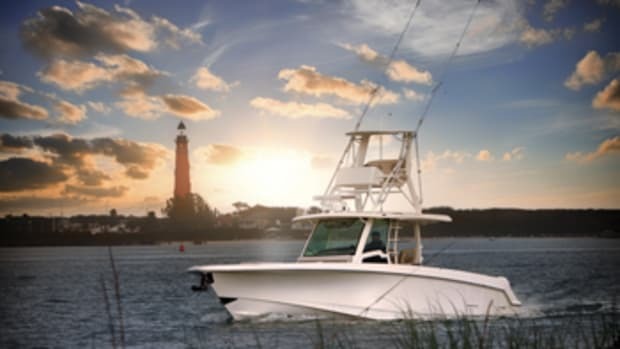 Jupiter Marine has earned a reputation for building some of the world’s most-respected outboard-powered center consoles. 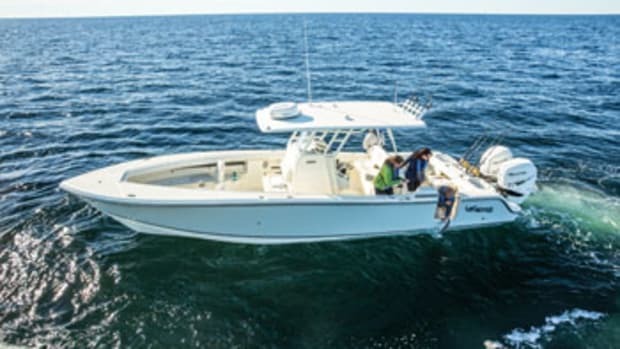 The Palmetto, Fla., company’s president, Carl Herndon, also carved out a niche as one of the best builders of inboard sportfishing boats as the the founder and former CEO of Blackfin Yacht Corp., and former president of Bertram Yacht. Jupiter 41 customers seek the same amenities they had on their bigger boats but in a smaller package that they can confidently pilot without a captain and mate, adds Albrecht. “The buyer of hull No. 1 said, ‘My wife and I want to go out boating and not feel like we are being babysat by a captain and mate,’ ” he says. 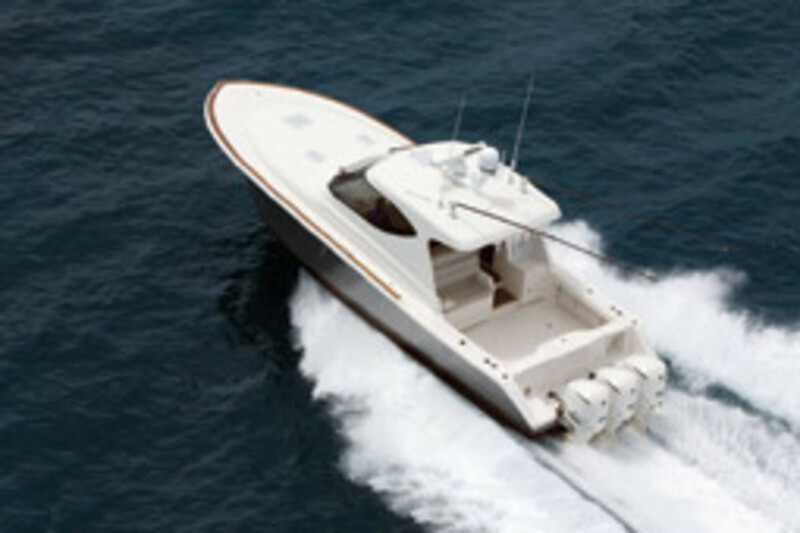 The 41 can be fished, day cruised or taken on overnights. The outboard power package opens up a huge chunk of space amidships, which Jupiter has taken advantage of with a large midcabin berth. An inboard’s engine compartment would eat up about half of that midcabin real estate. 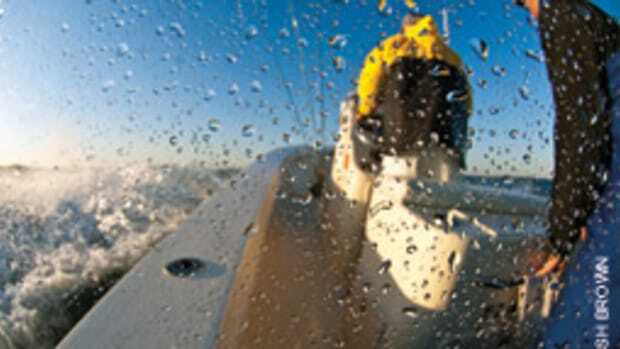 The outboards also reduce the boat’s draft. “It allows us to go into places in the Keys or the Bahamas that a traditional 40-foot boat would not be able to access,” says Albrecht. Jupiter works through a network of 15 U.S. dealers and four abroad, but its flagship boat gets special attention. 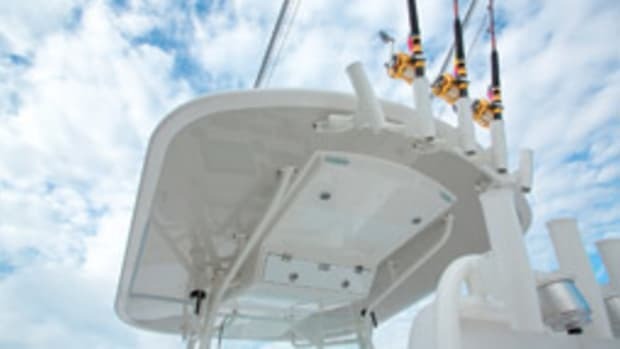 “It’s such a unique boat that there’s a lot of hands-on interaction between the factory and the customer,” Albrecht says. 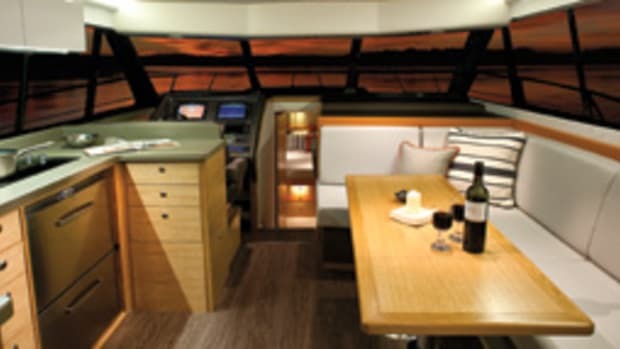 “There are changes we are willing to make — different layouts for the helm deck and cabin, for instance.” Those changes include shifting the location of the galley or adding a mezzanine or second stand-up live well in the cockpit. The Jupiter 41 comes in an Express and a Sportbridge version with a deckhouse. I tested the latter. Jupiter builds the 41 with closed-cell PVC coring, multidirectional knitted biaxial and triaxial fiberglass fabrics, and vinylester resin — top-quality materials. 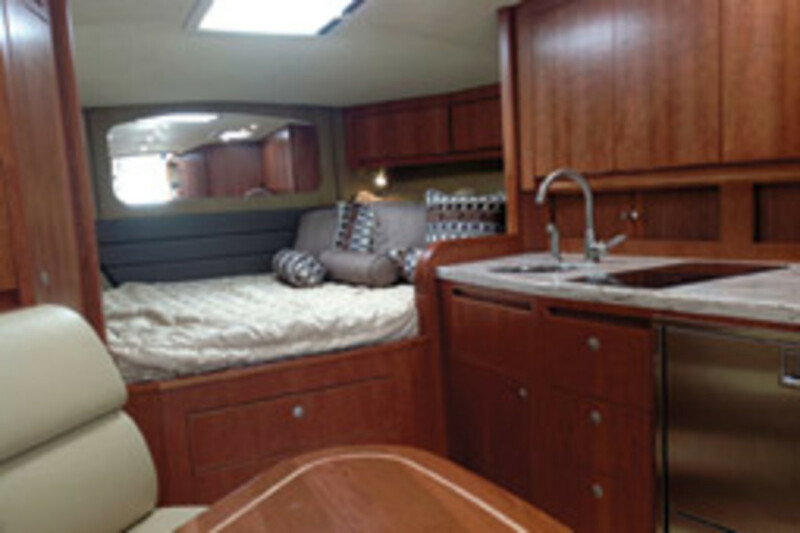 The builder marries the deck to the hull with mechanical fasteners and fiberglass. The hand-laid hull has a solid glass bottom, and there’s no skimping with fiberglass. 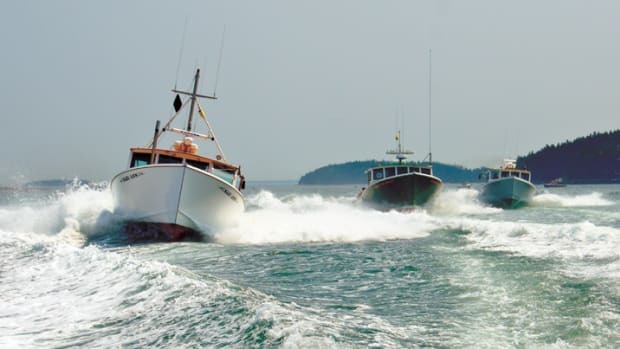 “We are firm believers in the ride quality of heavier boats,” says Albrecht. The extra weight is offset by an efficient hull design with a flat pad section along the centerline just forward of the transom, he says. You board the boat through a transom walkthrough on the starboard side. The transom door swings inboard and can be affixed to the starboard gunwale. The builder uses beefy stainless steel hardware for the hinges and door latch. A centerline lazarette houses the bilge and live well pumps, as well as the genset and its fuel tank. 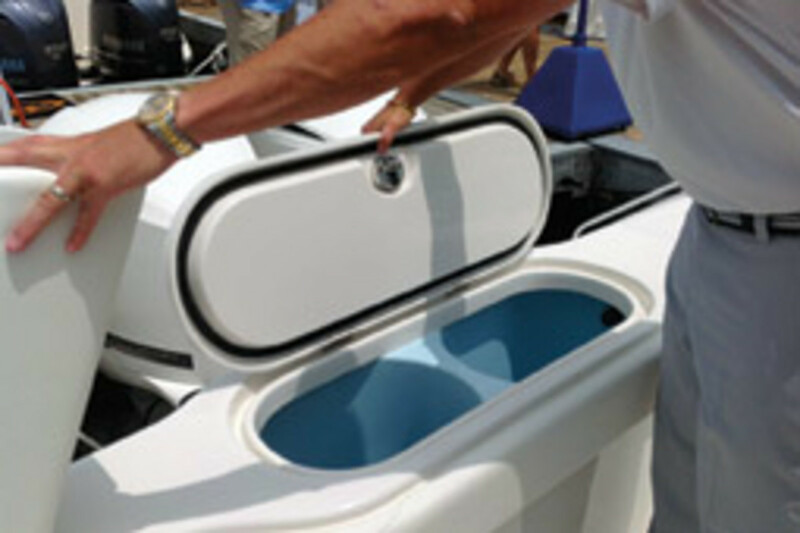 Gas shocks support the hatch lid, as is the case with other hatches throughout the boat. 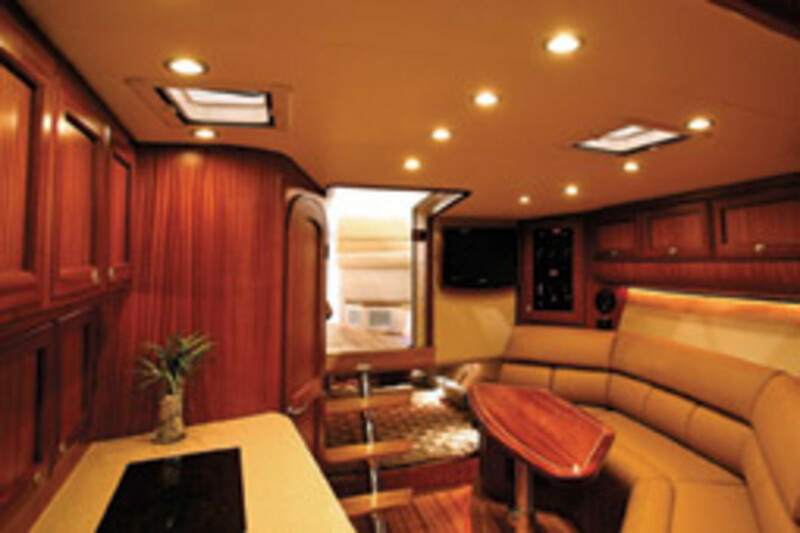 There is toe-kick space at the gunwales and at the two-tank transom live well. 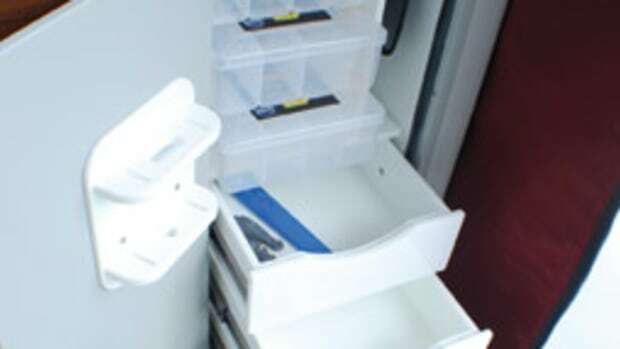 The builder provides two fishboxes with overboard drainage in the cockpit sole. A teak-capped toerail rims the foredeck’s periphery. The test boat didn’t have a bow rail, but it does come as standard equipment. The Jupiter 41 draws 3 feet, 6 inches with the engines down and about 2 feet when tilted. She rides a modified-vee hull with 18 degrees of deadrise at the transom. Triple Yamaha F350s pushed her on plane smoothly, and the bow remained low, so I could see the horizon from my seated position. I whipped the boat into some 30-knot hard turns. She confidently leaned into them and seamlessly returned to a flat running angle. 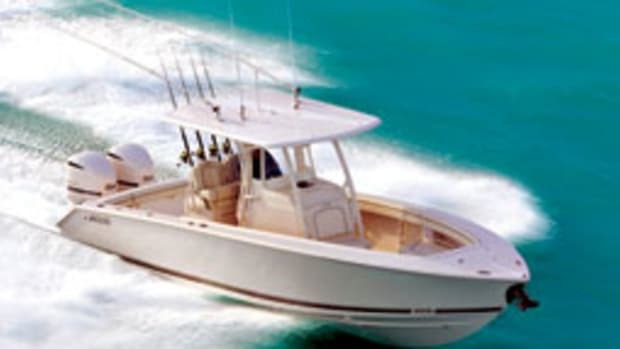 The heavily built boat indeed felt sound and settled into the 2- to 3-foot seas at the mouth of the Bradenton River, where it meets the Gulf of Mexico. I was with Capt. Mike Adams, a sales manager with Cannons Marina in Longboat Key, a Jupiter dealership. The boat was equipped with Yamaha’s Helm Master joystick control system. To use the joystick, you shift into neutral and press the “joystick” button. I found it best to move the joystick in a rolling motion — a tip from a Yamaha technical expert. I rolled the joystick to maneuver in all directions using a navigational marker as a reference point. Adams told me to keep my eyes off the engines when working the joystick. He’s right. Trying to read the self-articulating engines can be confusing, especially when each is pointed in a different direction. It took seven turns of the wheel to get from lock to lock. I prefer three or four, which gives me the right balance of response and control. With Helm Master’s friction control, however, you can set the number of turns it takes to get from lock to lock (four to nine turns), as well as the required steering effort, or “friction.” The default setting of seven turns is set by the boatbuilder. 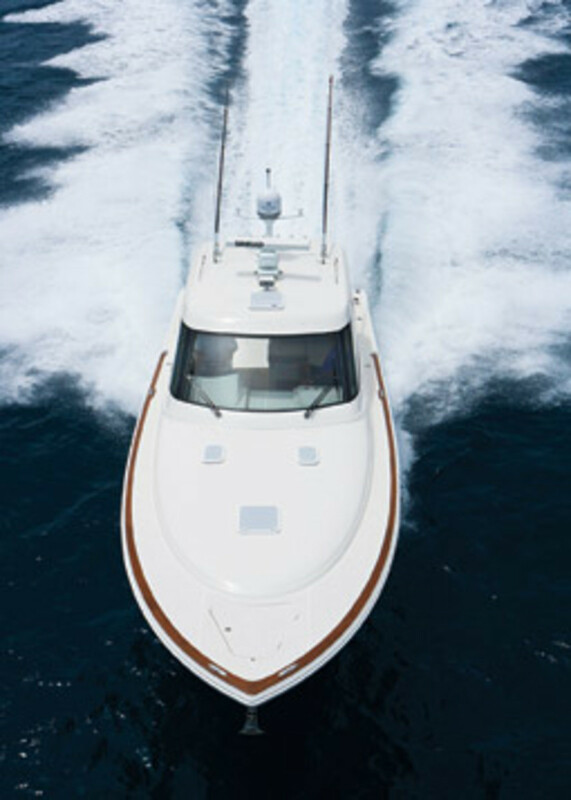 At a cruise speed of 30 knots, the Jupiter gets 0.7 mpg — a respectable number — with a range of 262 nautical miles on her 480-gallon fuel supply. So is the Jupiter 41.